1. Why is a definition of history as "past politics" inadequate? What other kinds of activities can (and should) historians consider? 2. What effect have migration and racial adaptation had on the development of humans and the pattern of human habitation? 3. How have recent fossil discoveries altered our conception of human origins? According to the most recent scientific evidence, how long ago did modern humans appear? 4. 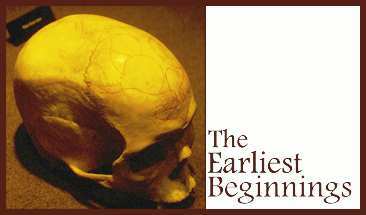 Explain the evolutionary anatomical changes that led to the emergence of Homo habilis. What are the essential differences between the "apelike" and "manlike" categories? 5. Approximately how much time elapsed between the emergence of Homo habilis and the emergence of Homo erectus? 6. In what ways was Homo erectus superior to Homo habilis? 7. Why may the ability to use tools for food gathering be regarded as the first step toward civilization? 8. During what period approximately was Neanderthal man dominant in much of Europe and neighboring countries? 9. Summarize the technical and cultural advances made by Neanderthal man. 10. Between 30,000 and 40,000 years a go a significant transition occurred in the earth's human population. What was it? 11. How do you account for the magnificent cave paintings found in parts of southern France and northern Spain? What can we learn from them? 12. What impact did the vanishing of large herds (beginning about 12,000 years ago) have on the development of human civilization? 13. Identify the "momentous revolution" that occurred about 4,000-3,000 years after the end of the Ice Age, and explain why it was revolutionary. 14. What is the difference between "prehistory" and "history," and why can the latter be said to begin with the birth of civilization? 15. Trace the stages in the transition from a nomadic to an agricultural society. What role did cereals play in this transition, and in the later development of civilization? 16. Identify the most important differences between a wandering band and a village, and between a village and a city. 17. What new handicrafts arose during the age of villages? 18. Explain the following two assertions: "Settled life would have inspired ongoing warfare." "Cities existed to exploit villages." 19. What was the significance or the effect of the emergence of a priestly class in society? 20. What is the basis for claiming that by around 3200 B.C.E. Mesopotamia was "civilized"? 1. If much of the past is irrecoverable, how can an attempt to reconstruct the past help us to better understand the present? 2. On the basis of reading in such books as Christopher Dawson, The Age of the Gods, B. Malinowski, Magic, Science, and Religion, and Edward Norbeck, Religion in Primitive Society, describe what you consider to be the essential characteristics of primitive religion and explain its appeal for early human communities. 3. Explore further the origin of the state. Make use of such books as R. H. Lowie, Primitive Society, M. J. Herskovits, Man and His Works, and C. C. Lamberg-Karlovsky and J. Sabloff, Ancient Civilizations. a. The development of agriculture. b. The development of organized religion. c. The origin of the city. 5. Read Ruth Benedict, Patterns of Culture, and see how many ancient peoples you can fit into her system of classification. 6. Analyze the impact of technology on the development of human civilizations. In particular, examine the difference between the adjustment of details of life and genuine technological change. Explore the impetus for each, and the effects of each.